GOLD is a fair adventure drama, well-produced in 1974, done on location in South Africa. Taken from one of the lesser novels of co-scripter Wilbur Smith, it deals with a plot by an international financial syndicate to flood a major mine and drive up the price of gold, whence they make a killing. If a thousand workers drown as a result, well, that’s Big Business. 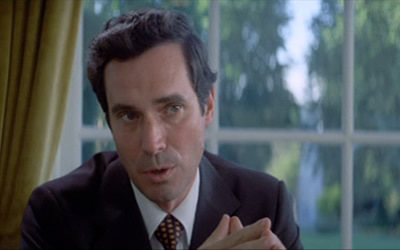 Playing the bad guys, Bradford Dillman does another of his specialties as a conniving weasel, and John Gielgud is once more allowed to be heartlessly supercilious. 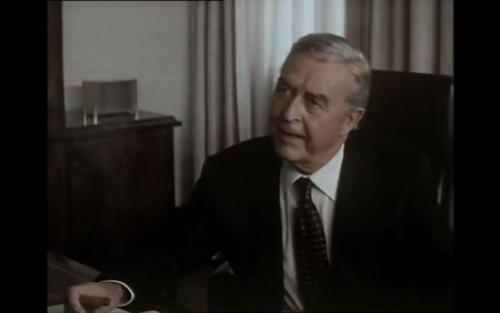 Ray Milland has the most colorful gig as the crusty zillionaire who owns the mine, and Roger Moore, as his engineer and the hero of the piece is, if not exactly dynamic, less affected than usual, and this rates as one of his better performances. He does some off-site drilling of his own (did I just write that?) with Dillman’s sultry, frustrated wife–well played by Susannah York (she had the Sultry Frustration Market locked for around ten years). It’s a bit lengthy at two hours, but the scenics of Johannesburg and surroundings are fresh, the pulsating music of Elmer Bernstein moves things along and the finale offers a pretty decent amount of suspense and excitement. It drew an Oscar nomination for the song “Wherever Love Takes Me”, but that’s bested by the lusty title number. Directed by Peter Hunt, featuring Simon Sabela, Bernard Horsfall, Marc Smith and Tony Beckley.